After World War II, the ideas of European Modernism became much more influential across the UK and Ireland. This had an emphasis upon function, an honest expression of materials and a rational approach to design problems. 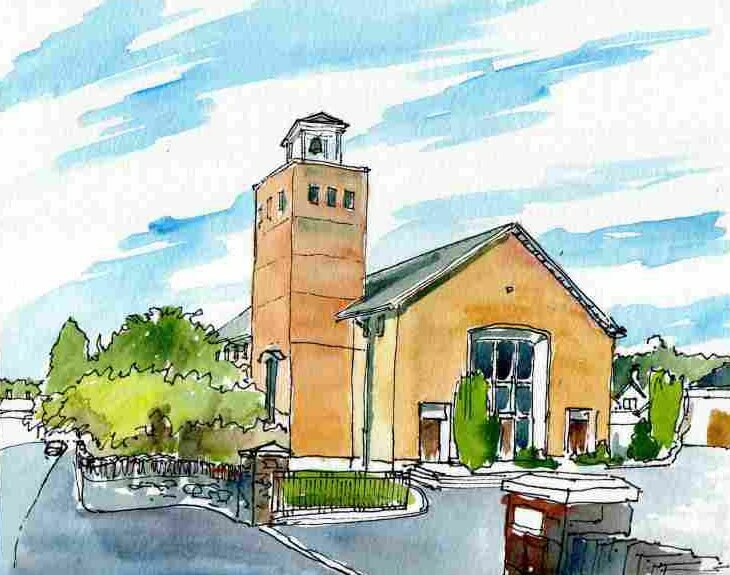 The Scandinavian approach was not as harsh as the main style and was adopted to create an elegant new Presbyterian Church in Strabane in 1955. 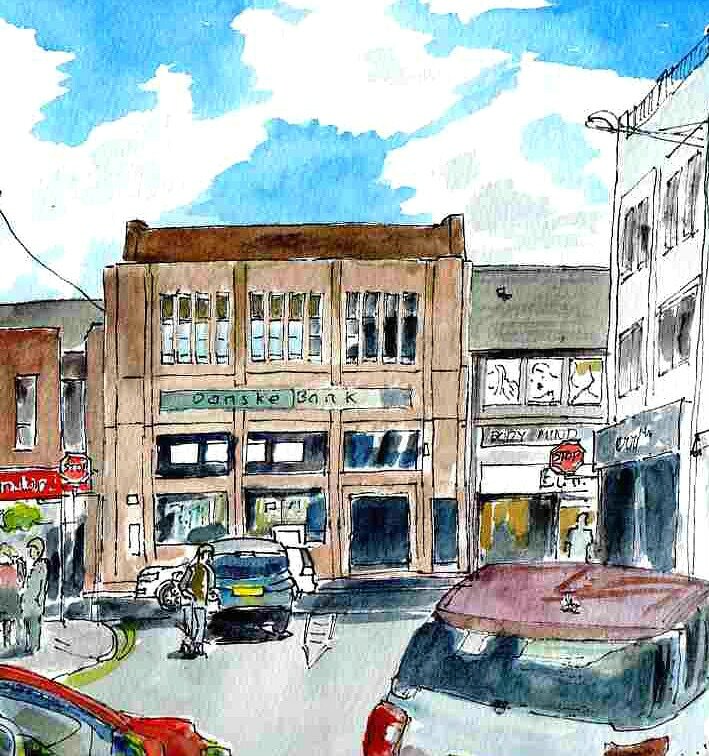 It is not really a harsh break from the classical Inter-War buildings of the area, more a development. By 1963 the use of decoration on modern buildings was becoming more acceptable again. 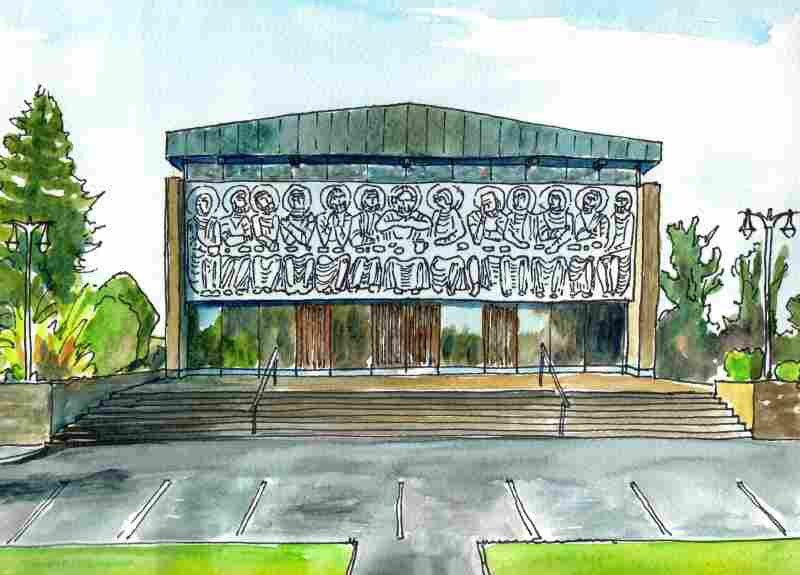 As St Teresa's in Sion Mills, a massive recreation of the last supper was commissioned from artist Oisin Kelly and mounted as a screen across the front of the building. It is not as much 'decorated building' as 'building displaying artwork'. The church is designed to mimic a classical temple, a form used for many churches in the past. By 1970, things had deteriorated in Northern Ireland. Civil Rights Marches had led to riots, counter riots, the deployment of the Army and the commencement of the IRA bombing campaign. Strabane town was very badly damaged by bomb attacks. Plenty of historic buildings were lost to be replaced by cheap and quick replacements that perhaps display a lack of confidence in the length of time that they too would last. The Danske Bank was designed as a new Northern Bank during the period and has some architectural pretentions. It frames the view from Castle Place and has a castle like appearance in the stepped profile of its roof and narrow slit windows. However, perhaps understandably, it does not display the exuberance and confidence of its predecessor. First Presbyterian Church , Strabane, 1955. St Teresa’s church, Sion Mills, 1963.